In the past, the bidet has often been over looked with both wonderment and puzzlement in what their actual functionality was. Despite being a bathroom essential and standard appliance for our neighbours over in France and other European countries, the bidet was viewed here as an unnecessary bathroom appliance taking up valuable space and marked a social divide as it was only found in the grandest of homes, until now that is! 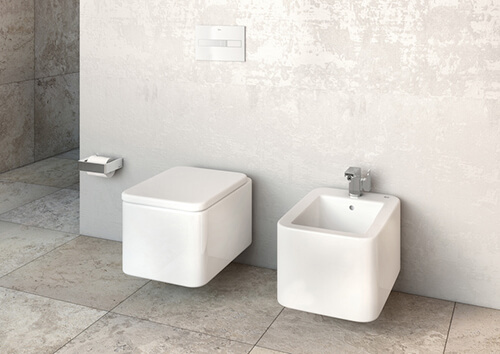 Previously, many of us had only seen bidets when we went across on holiday to the continent but as bidets are now being seen more and more over here in homes, old and new, and within online and magazine publications, we are looking to integrate these extremely convenient appliances within our own bathrooms. 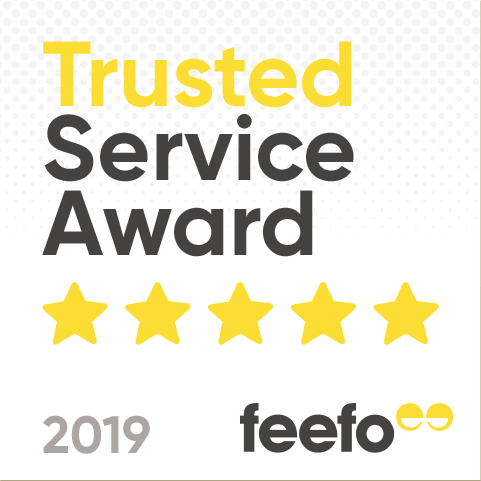 Over the past few years, retailers have seen a significant uplift in sales, whilst builders and plumbers are receiving more and more requests to install bidets in to new and existing bathrooms. This growth is also being put down to bathroom manufacturers improving the overall design of the bidet and incorporating into their bathroom suite catalogues to enable us to achieve continuity within our bathroom furniture. A bidet is considered the ultimate in luxury to any bathroom and will instantly add value to your home because of this. A bidet unlike a shower or bath, basin or a toilet is not a basic essential but is very much an element of style and opulence and growing all the time in popularity, instantly upgrading any bathroom or en-suite and not reserved anymore for just top hotels and the select few who could afford it. 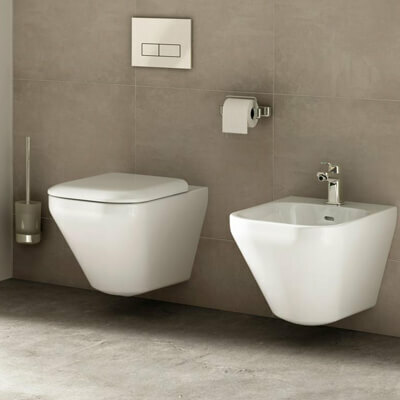 At Building Supplies Online, we offer a large selection of affordable bidets from leading UK bathroom manufacturers including Roca, Burlington, RAK, Ideal Standard and Bayswater helping you to complete any look in your bathroom albeit if it has a traditional or modern interior design. If you are seeking a contemporary bidet for your bathroom or cloakroom then our RAK Metropolitan Back to wall Bidet is ideal. With its high-quality design, this bidet’s flush function is installed within the wall or stud wall to hide its functional elements giving it a sleek finish. This bidet is part of the stunning modern RAK Metropolitan range allowing you to have that all-important continuity with the rest of your bathroom furniture. If you have a small bathroom and feel you couldn’t fit in a bidet or it would take up valuable space, think again. 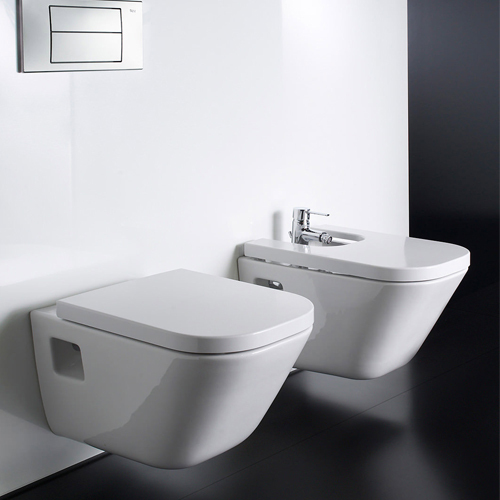 Our Roca – The Gap Wall Hung Bidet is great as it is mounted to the wall with no leg or base installed to the floor meaning the impact of the visible floor beneath the bidet provides the illusion of space of which can be achieved with matching wall-hung pieces from this range all of which are perfect for that smaller bathroom or cloakroom. Another bidet ideal for small spaces is our Ideal Standard Compact Back to Wall Bidet with its purposely small structure it proves to be another great one to save on crucial space. 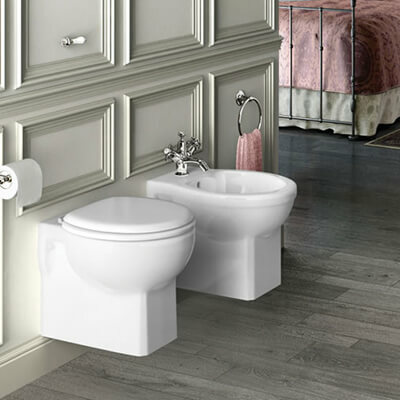 If however you are after a traditional bidet for a period interior design we have the beauty of our Burlington Wall Hung Bidet with a classic shape and style, this Bidet will look the part in any such bathroom. If you don’t feel comfortable with installing your bidet into a stud wall then our Britton Back to Wall Bidet Unit could be the solution for you. Available in Anthracite Grey, Ocean Blue or white, this beautiful easy to install alternative is great to achieve that same desired contemporary finish to your bathroom with the added benefit of shelving at the top of the unit. When You have chosen your bidet then you will just need to choose your taps and fittings such as screws to bolt your bidet into the floor or the wall depending on the model chosen. We have a large selection of bidet accessories to choose from. Mixer taps are generally used as bidets usually come only with one tap insertion hole, so this still allows you to benefit from the choice of both hot and cold water. 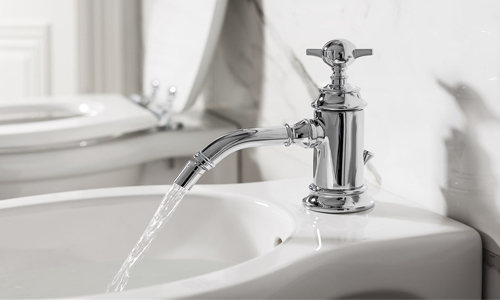 The Ultra Beaumont Luxury Mono Bidet Mixer Tap is a great option for traditional style bathrooms but our Roca L90 Chrome Bidet Mixer is a wonderful additional to any modern themed bathroom, cloakroom or en-suite. If you love your tech, then why not go that step further and go for our Grohe Allure F-digital Bidet Mixer Tap which allows you to control the water pressure and the water temperature. Our range of bidet taps include either a pop-up or retractable waste mechanism option. Some of our bidet taps include a flexible moving nozzle for further convenience such as our Grohe Allure Bidet Mixer Tap. So, if you are looking to upgrade your existing bathroom or designing a brand new one then implementing a bidet is a stylish and practical way forward and once you have you will wonder what you did previously without it.